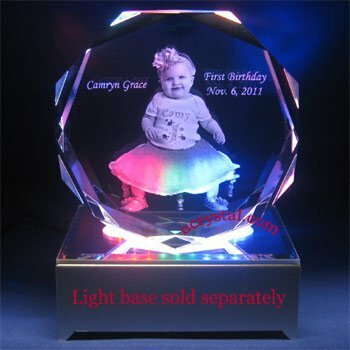 Iceberg personalized photo crystal gift. 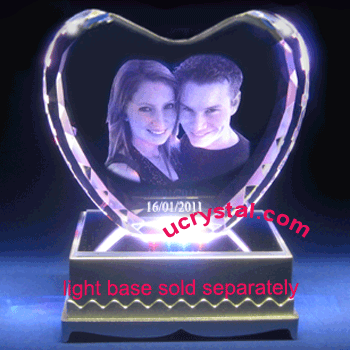 This iceberg photo crystal is beautifully polished and is best utilized for photo etching for occasions such as wedding crystal gifts, wedding anniversary crystal gifts, personalized anniversary crystal gifts, marriage anniversary crystal gifts, and Valentine’s Day crystal gifts. 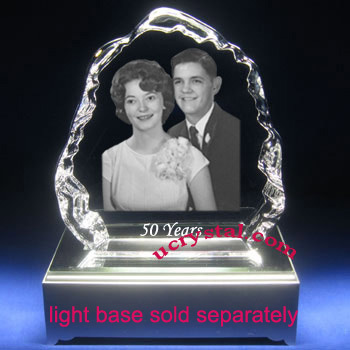 The example on the left features a wedding photo taken 50 years ago, which is now permanently etched inside this iceberg photo crystal. 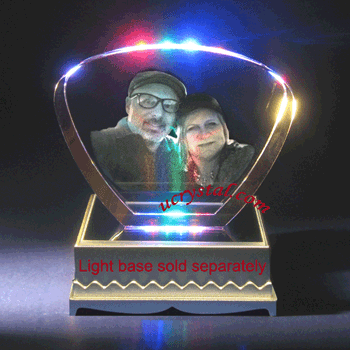 Half a century has passed, but the wedding vow still resonates between the two loving hearts. The sweet memory of their wedding day is still fresh. 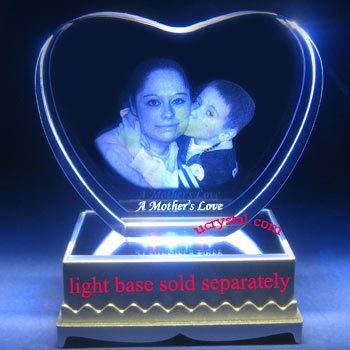 We are honored to be able to help recreate this unforgettable moment using the magic of laser photo crystal engraving. 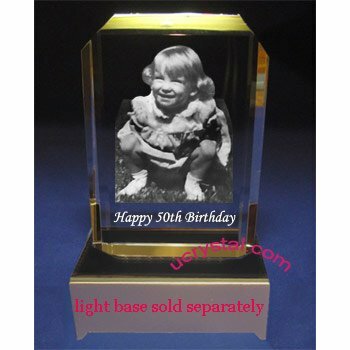 At Ucrystal, we have a large selection of personalized 2D or 3D photo crystals. 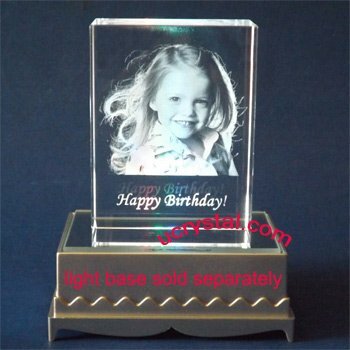 Additionally you can also add a suitable LED light base to make the 2D or 3D laser engraved photo crystal even more dazzling. 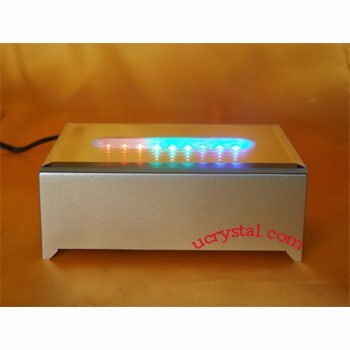 Size: 5" width x 5-1/4" height x 1-1/4" thickness. 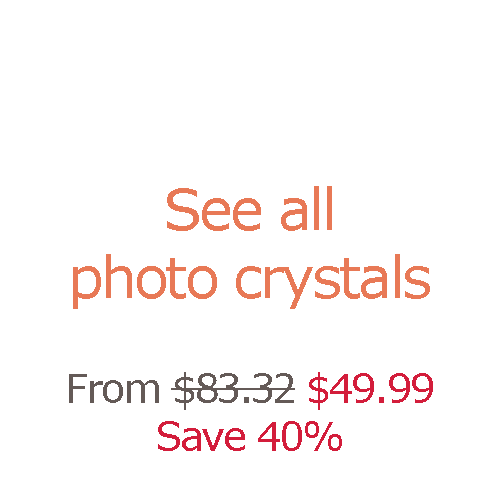 This iceberg photo crystal is beautifully polished, and is best for photo etching for occasions such as wedding anniversary gifts and high school prom portrait photos. 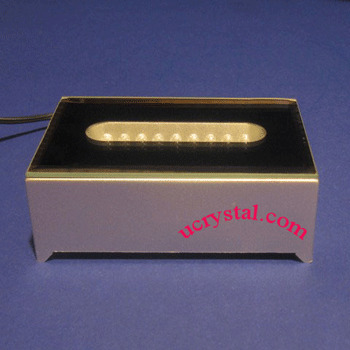 Although 9 LED is narrower than 12 LED light base (displayed), but it also displays this piece of crystal nicely.